-Install a Coaching eye mount at a field and you can rent the use of the mount to teams coming to play on your field for league games or tournaments.​ You can sell a season long useage package to your own teams at a discounted rate. -Install 2 Coaching eye mounts at opposite corners and double your income. -With an average of 4 rentals per weekend day, you can more than cover the cost of the mount within one season. 8 rentals per weekend x 10 week season = 80 rentals. Not including tournaments or events. - At $10 per rental you can charge a very reasonable rate (less than $1 per player) and make a good profit. 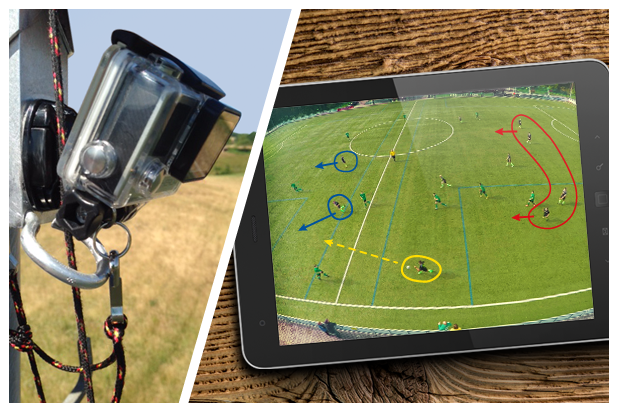 Purchase a GoPro camera and you can rent that out as well to teams that do not already own one. -Coaching eye adds value to your camps or small group training sessions as a unique training tool.